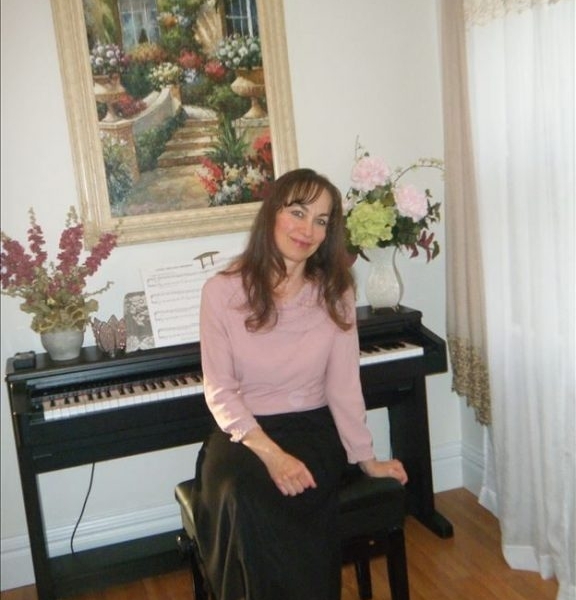 Piano teacher with years of experience teaching students since 1987 in music schools and homes in Europe and USA. During my studies at a state conservatory I performed in recitals and competitions in dual piano or as an accompanist and with a chamber music ensemble during university studies. I joined university students in choirs that performed in Slovakia, Czech Republic, Hungary and Ukraine. Currently I am offering individual private lessons in my home or student's. Beginners welcome! Russian technique trained - learn hand/wrist/forearm relaxation movements that prevent tension, pain and injuries, especially in a wrist which is common among pianists practicing several hours a day .Patient, understanding and encouraging. I am a Steinway Educational Partner and I continue training through piano workshops. I emphasize classical music teaching piano methods like Alfred, Faber, Hal Leonard and Bastien. My students can also learn their favorite folk, movie and pop songs and I provide simple arrangment if needed. I encourage students to perform their own compositions at our recitals. My goal is to instill an appreciation and enjoyment of music in every student. I am easy- going, patient and motivating - rewarding younger students with prices. I like to share my love for music and watching students’ progress in learning to play piano. Seeing their smiles is the best reward for my teaching efforts. Education State Piano Conservatory in former Czechoslovakia -6 years with teacher certification, Magister Degree in Musicology from Comenius University in Slovakia. East and north corner of Cass ave and 63rd street in Westmont, IL.